The mission of The Institute for Integrative Nutrition (IIN) is to play a crucial role in improving health and happiness, and through that process, create a ripple effect that transforms the world. 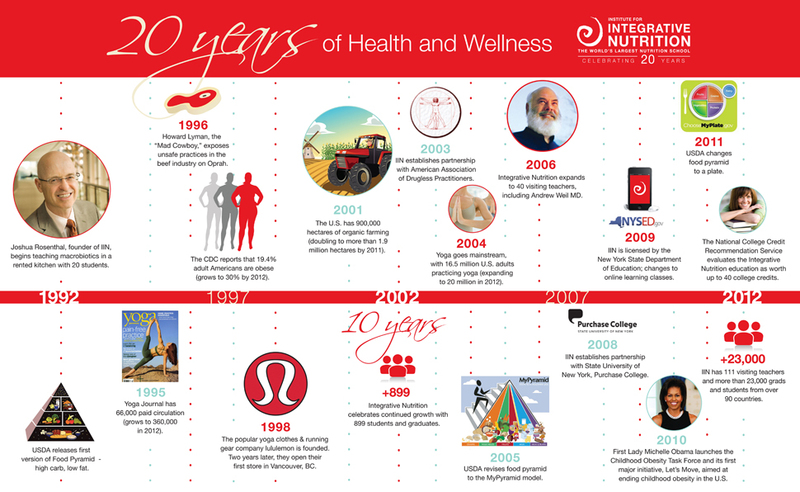 IIN offers a year-long online course specially designed for people who are passionate about health and wellness. During IIN’s one year program, you will learn from inspiring leaders in the health and wellness industry as well as experts in business and marketing. You will also connect with an amazing supportive community, and experience a remarkable personal transformation – all through a convenient online platform that makes learning on-the-go possible for anyone. Integrative Nutrition’s comprehensive curriculum covers over 150 dietary theories and combines counseling techniques with real-world business training. Its unique nutrition philosophy takes a holistic approach to wellness and encourages students to consider relationships, work, exercise, and spirituality as essential to building good health. 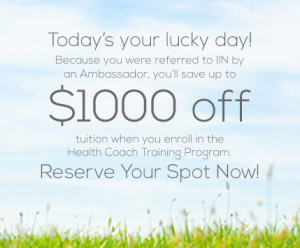 I know how scary the idea of having to pay tuition might be and I know how grateful I was when I received my $1,000 off because I signed up through an IIN Ambassador. Check in with your inner self. If your gut is telling you that this is THE school for you, do not wait any longer – ENROLL TODAY and get all the benefits of becoming a Health Coach. FREE SAMPLE CLASS – CHECK IT OUT! Invigorate your health, live your passion, and design a life you love. Enrolling at Integrative Nutrition is the fastest way to transform your life, health, relationships, and career. IIN students come to Integrative Nutrition to learn about nutrition and receive countless other benefits through our life changing curriculum. Create a career out of your passion for health, wellness, and helping others. 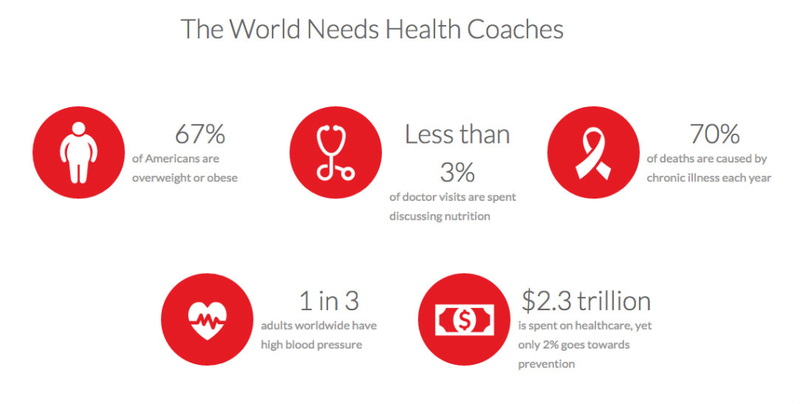 As a Health Coach, you will be paid for helping others live healthier, happier lives. Health Coaches work flexible hours: In private practice at gyms, spas, and wellness centers alongside doctors and nurses as entrepreneurs in the health space. As a student, you’ll gain access to the exclusive IIN education app full of video and audio courses. An online community available 24/7. Social media discussion groups to learn from classmates around the world. Live events featuring the world’s leading health experts.